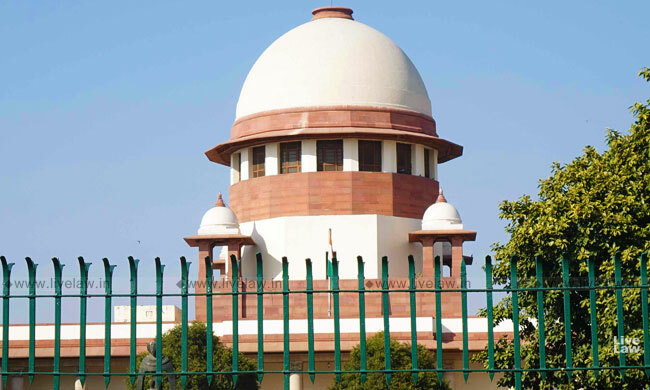 When a PIL for prisoners' right to vote came up for admission in Supreme Court yesterday, the CJI-led bench posed queries regarding the petitioner, his interest in the subject and reason for choosing the particular cause. "Before we entertain this petition under Article 32, filed as public interest litigation, we would like to know more about the petitioner; his interest in the subject matter and why he has picked up this particular cause to be raised and that too by an Article 32 petition", said the bench of CJI and Justice Sanjiv Khanna in the order. The bench however clarified that the above query has "no connections with the merits of the contentions raised". The petition was filed by Aditya Prasanna Bhattacharya, a student of National Law School of India University, challenging Section 62(5) of the Representation of the People Act 1951, which says that no person shall vote at any election if he is confined in a prison. The petition states that the Section is broadly worded so as to affect even undertrials and persons detained in civil prison. The anomaly in the provision is that persons who are out on bail can vote, says the petition filed through Advocate Zoheb Hussain. "There is no conceivable object that the classification envisaged by the impugned provision seeks to achieve. Even if decriminalization of politics is said to be the object,..., it cannot be conceived how the impugned provision, which deprives prisoners of their right to vote, has any nexus at all with decriminalization of politics, which is concerned with the right to contest of candidates with criminal antecedents", states the petition while attacking the provision as violative of Article 14 for being arbitrary and discriminatory. This provision was upheld in Anukul Chandra Pradhan v Union of India (1997) 6 SCC 1, on the ground that it seeks to achieve the objective of decriminalization of politics. The petitioner argues that the decision is per incuriam as the decision did not take into account the fact that right to vote is a constitutional right as per Article 326, and that the decision did not correctly appreciate the challenge on the basis of Article 14. The petitioner also points out that similar provisions curtailing prisoners' right to vote have been struck down by Supreme Courts of Canada and South Africa and the European Court of Human Rights.